Pennington, New Jersey is a small town located in Mercer County. With a population of 2,585, which has shrunken significantly over the past years, Pennington is one of those small towns that hold near and dear its residents and the quaint, small-town lifestyle it boasts. The people of Pennington pride themselves on being very much into historical preservation and keeping the town as natural as possible. Back in the olden days when Pennington had gotten, it’s beginning, the town was known as Queensboro after Queen Anne. Eventually, it would go on to become Pennytown, and eventually, the name Pennington came about and stuck. The name was derived from William Penn. As far as residential neighborhoods are concerned, there are single-family homes than there are apartment buildings and condominiums. This makes it easy for people to utilize Limousine Service to take care of daily tasks – even simple things like getting the kids to school, or perhaps getting your family to La Guardia Airport, JFK airport, and Trenton Mercer airport. You could simply search for Bird Limousine Service in Pennington, New Jersey and obtain a Free Limo Quote to see what’s affordable for your family’s budget. The neighborhoods are thought to be extremely safe and a great place to raise a family. The median income in the area is $75,000.00. There are great schools for all school-aged children and many great job opportunities within the area. As far as things to do in Pennington, there are quite a few things to partake in for leisure. Things such as Pennington Day – which usually happens every May – where various businesses come together to exhibit their goods and market themselves, as well as live music, a parade, and festivities for kids and families throughout the day. The tradition of Pennington Day began sometime in the 80’s. There are bike tours to enjoy as well. If you’re a golf fan, you’re in luck – Pennington has some great golf courses to play on and country clubs to relax at as well. There are also plenty of fine dining and family dining establishments, shops, and boutiques as well. 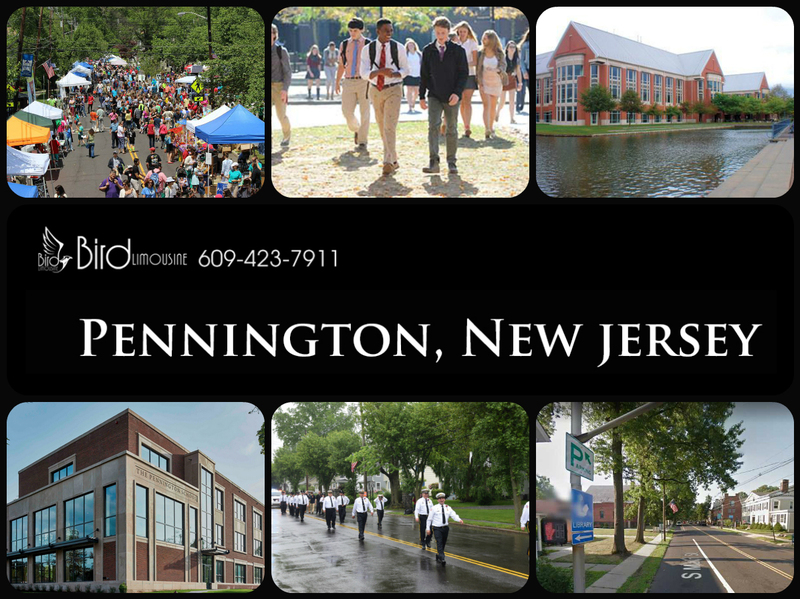 Whether you’re visiting Pennington on vacation, be sure to book with our Ground Transportation Service in Pennington, New Jersey ahead of time, and if visiting a friend, attending a wedding or simply passing through, the beauty of Pennington will draw you in and beckon your name. Be sure to spend some time getting to know the place – you never know, you just might fall in love with the place.